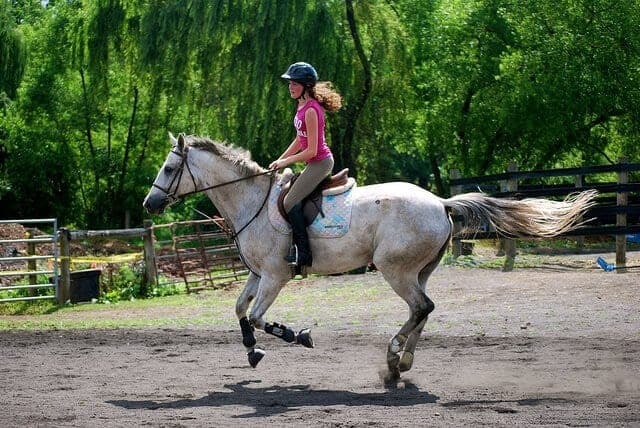 When you ride horses long enough, you’ll learn that things can get frightening very quickly. Being able to stay calm in sticky situations can help you to get out of them safely, but staying calm is definitely a challenge. 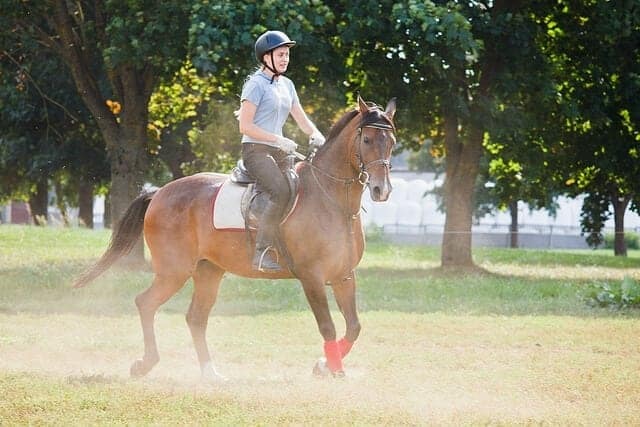 Here are 6 ways to stay calm in the saddle. When you feel yourself start to become nervous, make sure that you take some deep, slow breaths. 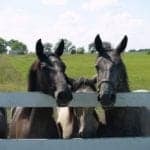 Deep breathing helps to slow your heart rate, calming you and conveying that calmness and confidence to your horse, also. Singing a song that you know well can help to keep you calm. It partially takes your mind off what you are worried about, and forces you to regulate and slow your breathing. 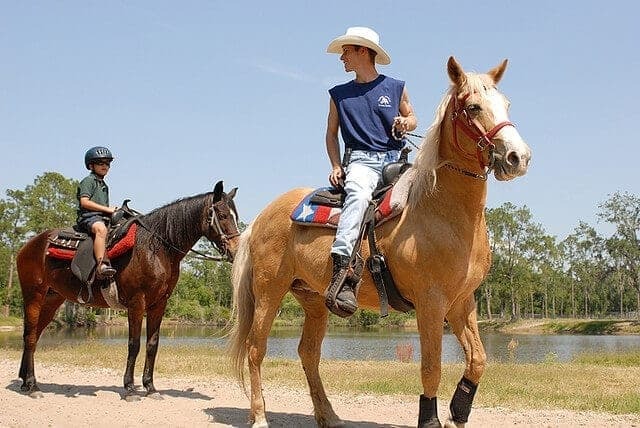 Singing can also be reassuring to your horse – just pick a relaxing song that you know well. When you feel yourself getting nervous, remind yourself to sit deep. 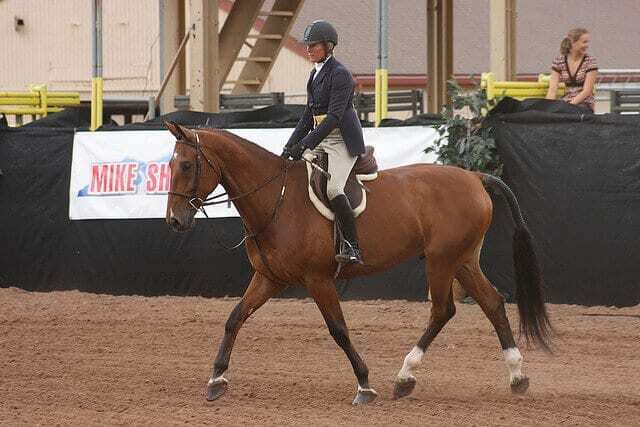 As you exhale, envision your legs sinking down and wrapping themselves all the way around your horse. This visualization can result in a more secure seat, leaving you feeling more confident and relaxed. 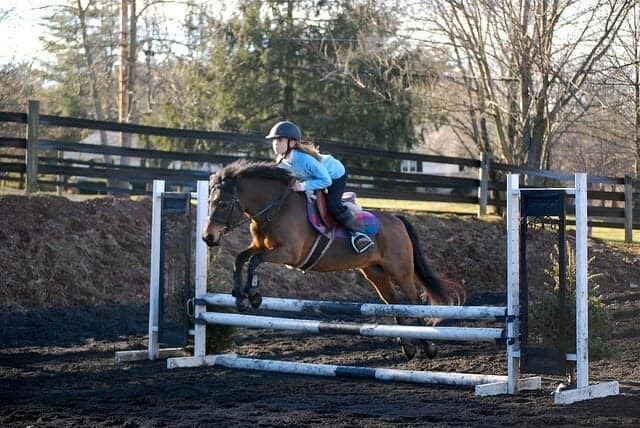 Reminding yourself that you are a good rider who is capable of dealing with the situation can give you that added boost of confidence that you need. In order for this technique to be effective, you need to do a little preparation ahead of time. 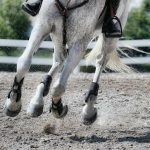 Think about your skills as a rider – maybe you have a sticky seat or naturally soft hands – so that you can remind yourself of these talents when you start to get nervous. Repeating a mantra – a short, positive phrase – over and over when you’re feeling nervous can help to calm your nerves. You’ll need to come up with a mantra that works for you ahead of time. 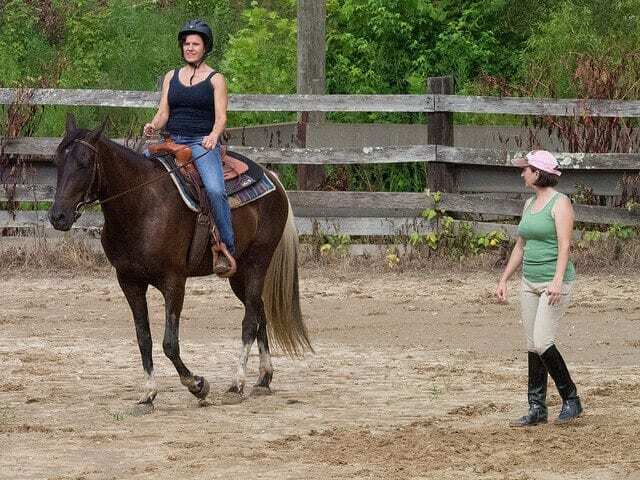 Think of a phrase that will reassure you, such as “I am a good rider,” or “I can deal with my horse spooking,” and repeat it out loud to yourself when you’re feeling nervous. This positive thinking can keep you calm and boost your confidence. Ultimately, being able to stay calm during tense situations can be improved through sheer repetition. The more often that you ride, the better a rider you’ll become and the more that your confidence will increase. With increased ride time, you’re likely to encounter tense situations – and you’ll get through them. The more that you can safely navigate these situations, the better you’ll be able to deal with them in the future.